OK, you asked for it so here it is....cheap birthday gifts. But I'm going to put a spin on it. These gifts are going to be cheap in the price alone. I'm going to show you some really nice inexpensive birthday gifts all under $30. I believe when you give a gift...it should be a really nice and special gift. It doesn't matter what your price range is. It's the thought that counts. 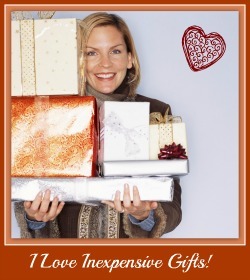 Select something different than you usually buy especially if purchasing for a loved one. For example, if you used to buy luxury chocolates - don't now try to select some cheap chocolates and pass them off as super great. Rather, go for an entirely different gift type. A good example of this smart birthday gifts shopping strategy is luxury lotions and soaps. Very often this type of gift is presented in a beautiful box or wrapping which increases the perceived value of the gift. Do you need a gift for a friend or work buddy and don't want to part with a lot of cash? Consider a gag birthday gift. These are some of the least expensive birthday gifts and they have the added value of "laughs included". The other way to save money is to find unique gifts. These cheap birthday gifts are hard to find and the receiver will have no idea how little they cost. One great tip is to choose a gift that has class. Don't select a gift that's overly decorated. A simple gift can cost less, but look like it costs more. Getting a personalized birthday gift is much less expensive then you would think. Here are some great examples in these personalized presents below. I would have thought they cost more. That you took the time to have them personalized makes the gift more special.